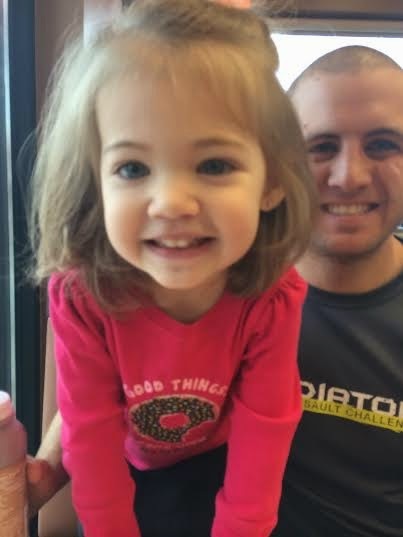 I am a little late with this post, but I wanted to document my big girl's 3rd birthday! My husband always takes the day off for the kids birthdays and we always try to do something fun that we don't just do every day. It is always just a special family day and I hope we get to do this every year on their birthdays, forever. We woke up and went to get donuts, obviously. My girl loves her sprinkle donuts, so it was a given. After breakfast, we went to the open time at the new trampoline park. 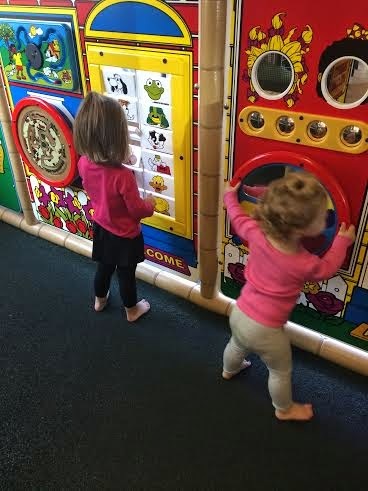 We have been wanting to check it out and knew the girls would love it! They did (and we did, too)! 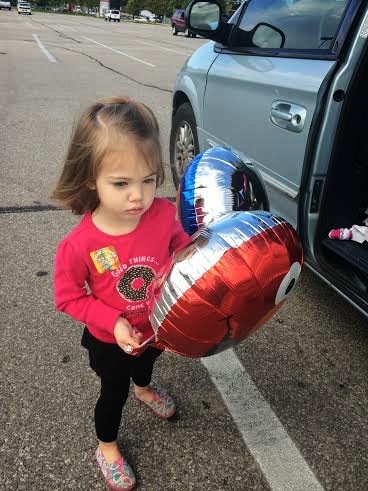 We stopped by the dollar tree to get 3 balloons for the birthday girl. She was nice enough to share one with her sis. After balloons, we headed over to Chick Fil A for lunch. The birthday girl's favorite. Went home for naps after that, but she was too excited to sleep. She did some face timing and phone calls with various family members who called and played outside for a bit while sister napped. 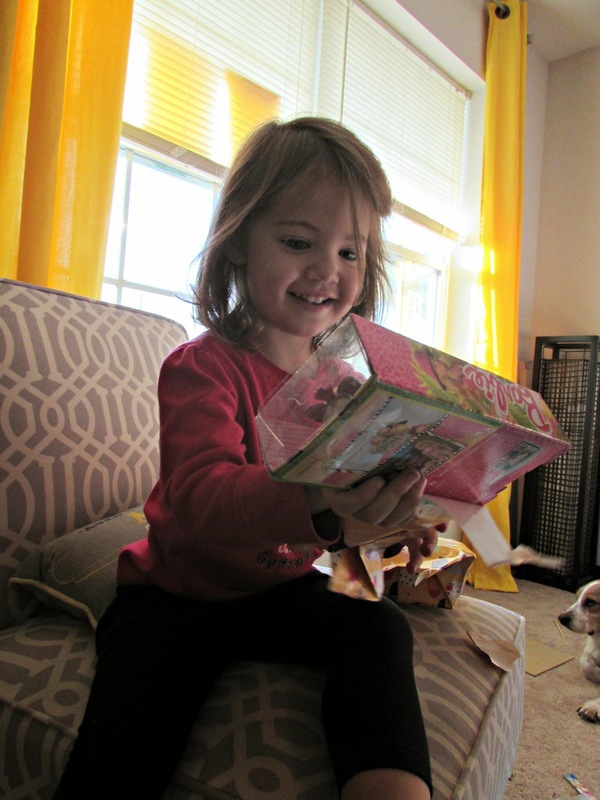 After naps, she opened her gifts before dinner. We had her favorite dinner, taco soup...are you sensing a theme here?! After dinner, we headed off to her last class of "little kid" gymnastics. 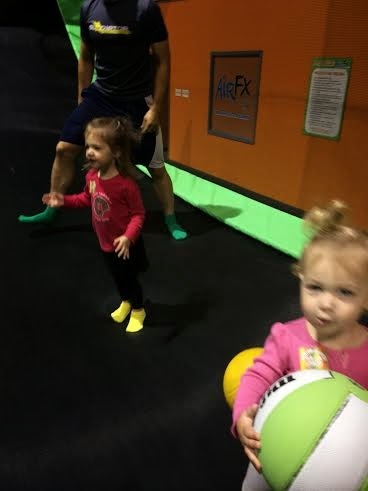 She has been in a parent and child gymnastics class where we go in with her, but after she turned 3 it was time to go to "big kid" gymnastics where she goes in by herself now in the big gym. After gymnastics, we kept on with the busy day and met her Grandma and Gramps for ice cream and present opening in the back of Gramps' truck. She loved this, of course! #1-One with a thumb in and the other blurry and not smiling. #2-One with a half smile and one with the most forced fake smile I've ever seen. #3-One not looking/blurry and the other blurry with an even bigger and more ridiculous fake smile. Ha! #4-one not smiling and the other not looking. We finally just gave up. That wraps up the big third birthday!! Can't wait to celebrate many more!